Yesterday was National Eat What You Want Day. And me? Well, I ate nothing. That’s right. I didn’t consume any real food yesterday. Instead, I did a one-day juice cleanse. Not exactly a fan of starving myself, I was reluctant to take on a one-day cleanse (I know, I’m a baby). But, when inanutshell was offered a collection of fresh, cold pressed juices by Pure Kitchen, I knew I couldn’t turn down the challenge. And, along with this shiny, happy locale, there is a line of fresh, cold pressed juices that are, we think, going to be all the rage. 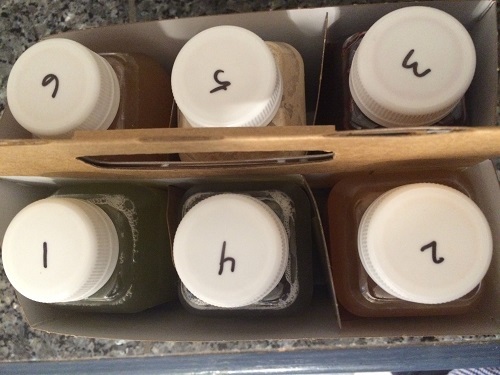 As for the cleanse(s), inanutshell got a sneak peak at what’s to come for Pure Kitchen’s customers: a one day cleanse, a three day cleanse, and a variety of other juicing options. While I write this, Meghan and Catherine are still in juice mode, so stay tuned for their reviews. 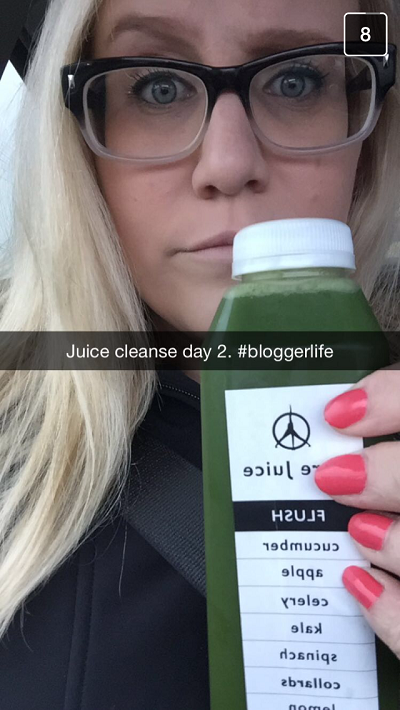 So, what did I think of the one day cleanse? It was difficult. Yet, I was never, ever hungry. Going in to the cleanse, I expected to be starving all day long. But in fact, it was quite the opposite. All in all, I would love to replace one meal a day with a juice and, if I had my pick, it would be with the CHAMPION juice or the FLUSH juice – both were delicious, filling and refreshing. Stay tuned for Cat’s experience with a-juice-a-day and Meghan’s review of the juices on a three-day cleanse. I’m rooting for ya, Meg!